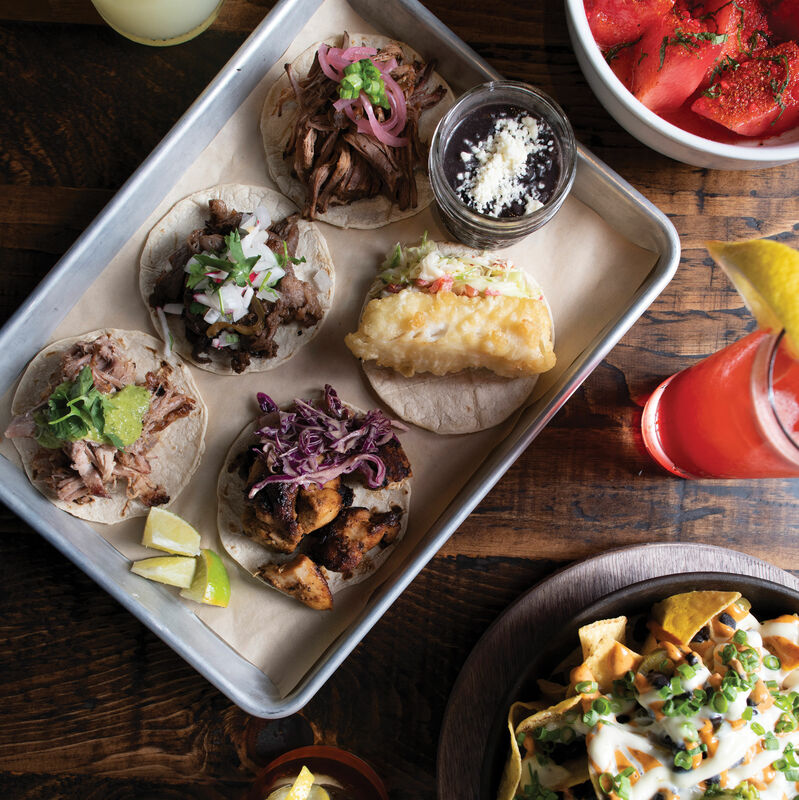 Super Bueno is built around tacos and drinks (and solid nachos). There’s a picture in Ethan Stowell’s 2010 cookbook of the chef rocking a pair of knuckle rings, “Cooks Rule” spelled out in bling across his two brandished fists. That’s the same guy who, eight years later, owns 16 restaurants, including his latest, Cortina and Super Bueno—stylish crowdpleasers with 376 seats between them—that opened less than a week apart. 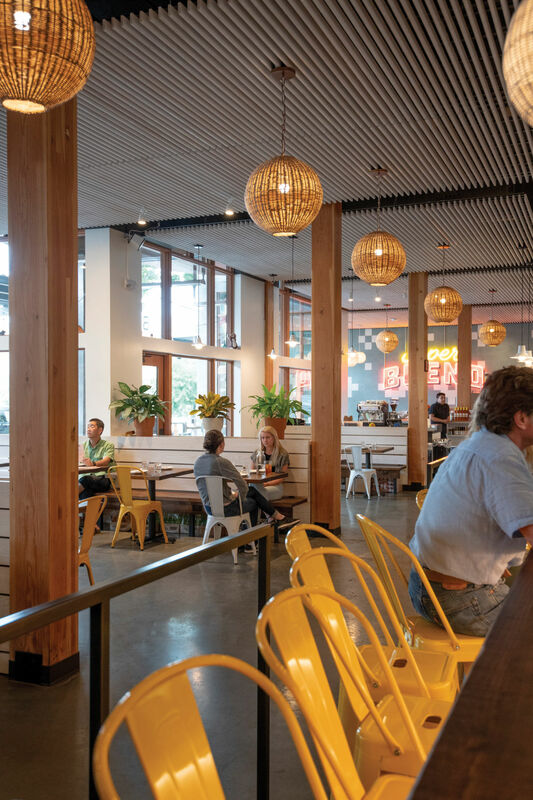 Like Stowell’s journey from feisty turk to prolific restaurateur, that proximity certainly wasn’t planned at the outset. Cortina transformed the old Sullivan’s Steakhouse space downtown into a sleek reflection of the professional microclimate above. Gone is the clubby dark wood of the Sullivan’s days, the tables whose linens draped nearly to the burgundy carpet, and the giant flavored martinis. Apple’s Seattle offices occupy some of the 56 stories above Cortina; you can imagine acolytes of its clean design nodding approvingly at the banquettes upholstered in smooth saddle-colored leather beneath a ceiling of slatted white oak. The entirety of Stowell’s second-eldest restaurant, How to Cook a Wolf, could fit in the dining room, but the bankers and button-down bros and sharp-shoed lady pals who come in for lunch or post-work drinks prefer the wool sofas in the lounge, or the high seats across from the 60-foot bar. Steaks and a shellfish tower with a triple-digit price tag service the post-Sullivan’s era of power dinners, but the core of Cortina’s vast menu hews to familiar Stowellian rhythms: small plates, careful salads, pasta. 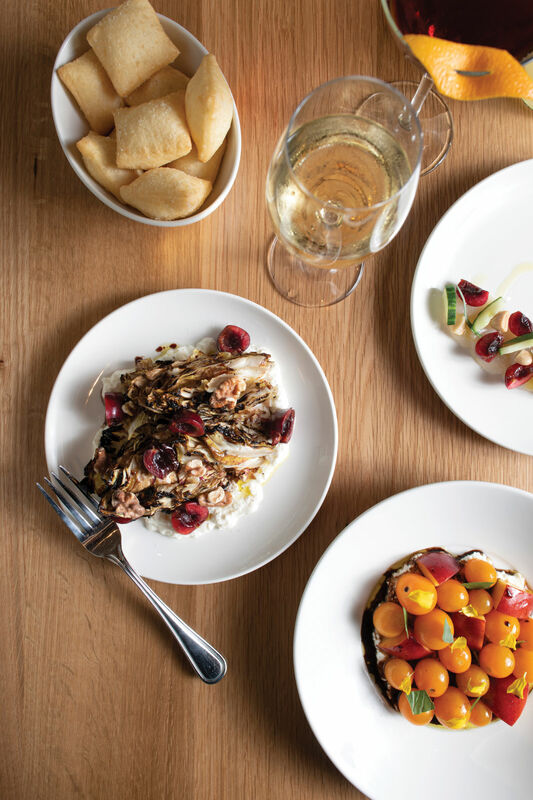 Dinner might start with a scallop crudo garnished with tarragon, almond, and an unexpected pop of cherry, or torta fritta—bite-size fried dough pillows that one server likened to salty beignets. (As salted fried dough goes, they’re brilliant, but cry out for some sort of dipping sauce.) Some beautiful seasonal compositions in the vein of Stowell’s tiny Mkt. 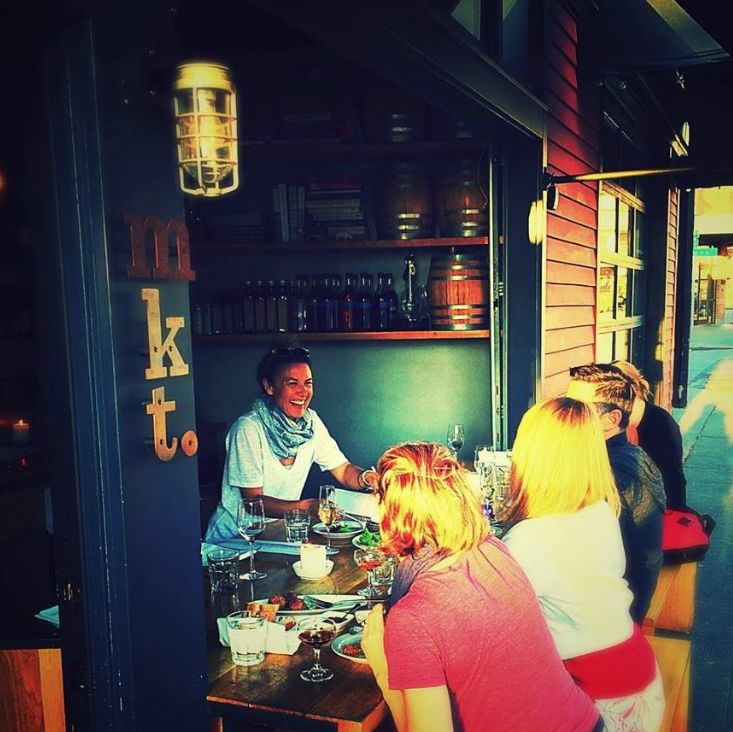 in Tangletown also dwell here, like the tight arrangement of petite tomatoes and wedges of fresh peach atop ricotta salata, a salty-sweet union codified with just the right aged balsamic. Bowls of pappardelle or lobster-topped linguini nero come with Stowell’s familiar sharing tongs, the better to ward off ghosts of ahi tuna nachos from Sullivan’s happy hours past. Uncommon combos like potato gnocchi with smoked bits of geoduck and fava bean slivers are fun, but the real pleasure center is the sort of traditional pasta dishes that built this company in the first place: Tonnarelli is a sturdy foil for carbonara, its guanciale diced fine enough to scatter richness like a porky confetti through practically every bite. 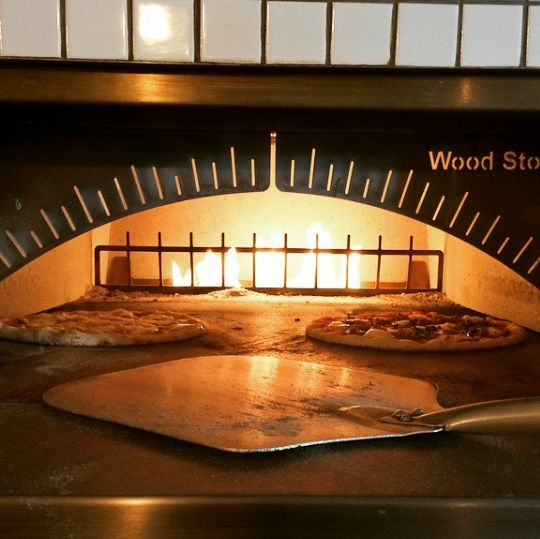 Pizza, an after-work favorite, uses the same dough as the memorable Neapolitan pies at Bar Cotto, minus the blistering from a wood oven. Cortina’s occasional flubs are usually the gaffes of a busy kitchen, like grim overcooked shrimp in an otherwise dynamite dish of paccheri pasta with sofrito. Some favorites at Cortina: torta fritta, a salad of grilled castelfranco greens, sun gold tomatoes and peaches on ricotta salata, and scallop crudo. There are some overt nods to the office crowds. Cobb salad might be history’s most phoned-in lunch item, but Cortina’s is reimagined as something rustic, almost Italian, with herby dressing and some chickpeas nestled next to crouton-size cubes of bacon. When one of my chickpeas made like a wayward escargot in Pretty Woman, a passing server barely broke her stride as she bent to pluck that slippery little sucker off the floor; reliable hospitality is another evolution of the Ethan Stowell brand. There’s nothing perfunctory about Cortina’s burger, either. The squishy bun, shredded lettuce and mayo-based sauce channel a roadside tavern burger, but Team Stowell’s upgrade adds Beecher’s cheese and high-end bacon. I say “Team Stowell” because the restaurateur freely confessed that his culinary director, Addam Buzzalini, devised the burger; Stowell himself tasted it only in passing. If Stowell donned those old knuckle rings now, “Cooks Rule” could be more of a salute to the people under his employ. Cooks, or at least Seattle’s labor costs, are a big factor in Cortina’s not-exactly-casual prices, says Stowell. The company recently gave up on a longstanding effort to keep bowls of pasta mostly under $20. 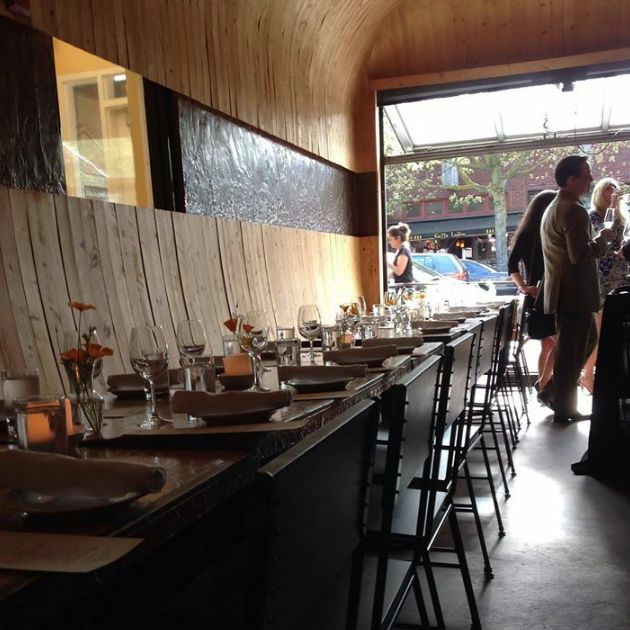 In matters of Ethan Stowell restaurants, it’s hard to limit discussion to the food, since Stowell and his wife and business partner, Angela, are vocal participants in Seattle civic life; in October, Angela leaves her CEO role to become the head of FareStart. In the 11 years since the Stowells opened Tavolàta, currently their eldest establishment, the culinary repertoire expanded along with the company. The spaces got nicer, the bar programs reliably adept. Cortina feels like a light-filled, leatherbound distillation of everything Stowell’s restaurant group has become. Everything, that is, except mom tacos. 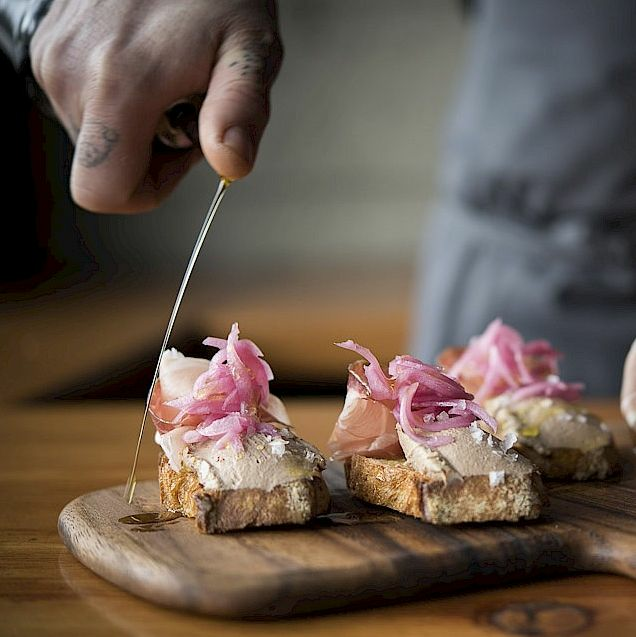 In one week, Ethan Stowell Restaurants launched a polished room full of urbane snacks, like truffled cheese and mushroom pizza, and a casual taco hang where margaritas come in pint glasses. It’s barely 5pm, but the hostess at Super Bueno tells me every table by the upstairs play area is already booked. My family settles for a table in the main dining room, where lemon yellow metal chairs and the glow of white wicker pendant lights stand ready to approximate summer long after the sliding glass doors to the patio are closed for the season. I accompany my son up to the kid pit where he vrooms toy cars and I cast longing looks at the tables below, where my husband already has a margarita in hand. As kid pits go, though, it’s fabulous: magnetic blocks, toy dinosaurs, and child-size hard hats that I predict will walk out the door the way copper mugs disappear from bars that serve moscow mules. 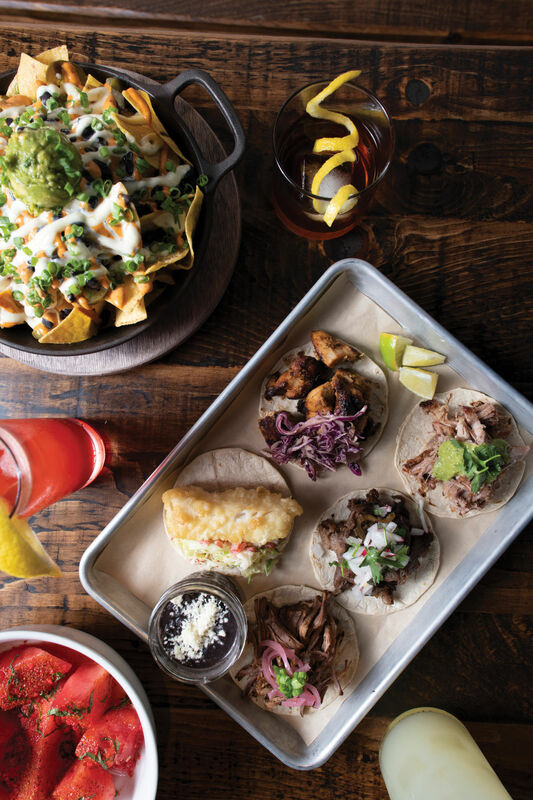 The taco and margarita joint, opened by pure construction happenstance on the heels of Cortina, is the company’s most definitive departure from its usual Northwest-Italian spectrum. But Super Bueno is Mexican the way the Stowells’ Frelard Pizza Company—with its play area, big screen, and oversize pies by the slice—is Italian. The nachos on practically every table are the cognate of Cortina’s Cobb salad: something you forgot could be legit good, if someone would just put some thought into it. Chips come in a sizzling cast iron pan, largely obscured beneath a generous guacamole dollop and a halo of your preferred meat (go for the brisket). Black beans, jalapeños, and a ribbon of fiery sauce make welcome cameos; housemade queso is drizzled throughout, also pooled at the bottom for maximum cheese distribution. Messy cobs of street corn covered in mayo and chili powder and the watermelon salad dusted with the crackle-fizz of actual Pop Rocks, a dish chef Rudolfo Martinez brought from Austin, achieve that same cheeky middle ground between fun and tasty. The perpetual summer of Super Bueno’s dining room. Funny, there’s no kids menu; the regular lineup includes things like cheese quesadillas on a flour tortilla. House guacamole is smooth, some might say bland, but comes with a thick topper of pico de gallo so a single order might satisfy both picky children and mature-palated adults (side gripe: guac comes in a narrow jar that makes chip-dipping a challenge). 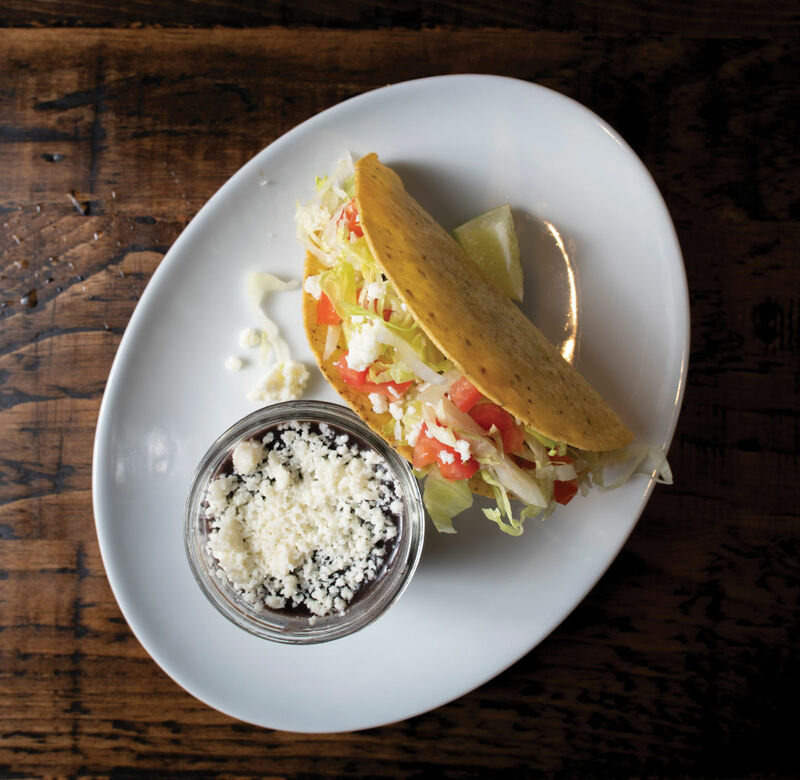 Tacos are the jam here, the culmination of a meal the way pasta is at other Ethan Stowell restaurants. They’re the size of a small saucer, piled with way more meat than a purist would approve. Fillings like carne asada, carnitas, and that brisket have terrific flavor that can devolve into saltiness if the meat sits for a while. Though, at the risk of sounding basic, the most successful taco is the one conceived ironically. The so-called Mom Taco is an ode to weeknight dinners of the ’80s, a hard-shell tortilla filled with ground beef, shredded lettuce, tomatoes, and crumbles of queso Oaxaca. For these, the kitchen ditches housemade salsa in favor of Ortega. The crunch from the shell is pure pleasure, everything is balanced, and the ground beef has more flavor than any whitebread mom could ever coax from a seasoning packet. Though I was probably living at home with my own mom the last time I listened to this much Matchbox 20 in one sitting. Super Bueno’s soundtrack is like a late-’90s frat party with background vocals of kid chatter. 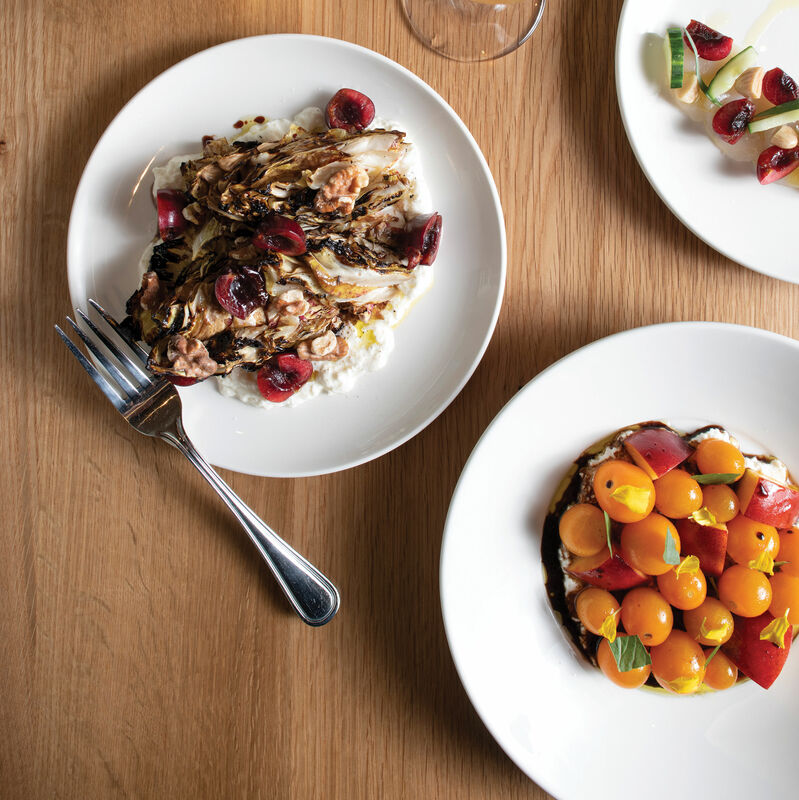 If Cortina reflects dining’s new role as a work amenity, Super Bueno speaks to our shift toward eating out more frequently, and casually, than back when Stowell opened his original (now shuttered) restaurant, Union, 15 years ago. When I asked what his former self, the one with the knuckle rings, would think of him these days, his first response was, “What is that dude doing cooking Mexican food?” He still owns that bling of yore, and a picture of his young son, Adrian, sporting them with some gold chains, Angela shaking her head in the background. In life, as in restaurants, it’s good to evolve.